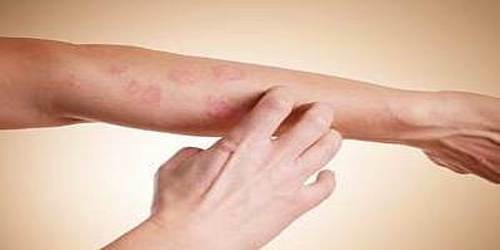 Itch is a contagious skin infection caused by the itch mite; characterized by persistent itching and skin irritation. It is also known as pruritus, which is a sensation that causes the desire or reflex to scratch. Modern science has shown that itch has many similarities to pain, and while both are unpleasant sensory experiences, their behavioral response patterns are different. Pain creates a withdrawal reflex, whereas itch leads to a scratch reflex. Generalized itch that occurs all over the body is often more difficult to treat than localized itch. Itches can also occur with or without skin lesions (bumps, blisters, rash, redness, or abnormalities that can be seen on the skin). An itch that is accompanied by a visible skin abnormality should be evaluated by a physician and, in some cases, by a dermatologist since the problem is likely to be a condition that requires specialized medical treatment. Infections, bites and stings, infestations, chronic diseases, atopic dermatitis, psoriasis, allergic reactions, sun exposure, and dry skin are among the numerous and common causes of itching. 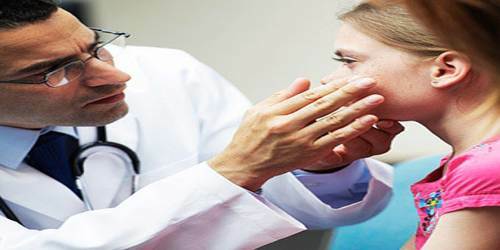 If itching persists, worsens, or is associated with skin lesions, consulting a health-care professional is advisable. Sometimes itchiness lasts a long time and can be intense. As people rub or scratch the area, it gets itchier. And the more it itches, the more they scratch. Breaking this itch-scratch cycle can be difficult, but continued scratching can damage their skin or cause infection. Corticosteroid creams. If our skin is itchy and red, doctor may suggest applying a medicated cream to the affected areas. The moisture in the wet dressings helps the skin absorb the cream and also has a cooling effect on the skin, reducing itch. Selective serotonin reuptake inhibitors, such as fluoxetine (Prozac) and sertraline (Zoloft), may help reduce various types of skin itching. If an internal disease is found whether it’s kidney disease, iron deficiency or a thyroid problem treating that disease often relieves the itch. Other itch-relief methods also may be recommended. Light Therapy (phototherapy): Phototherapy involves exposing your skin to certain wavelengths of ultraviolet light. Multiple sessions are usually scheduled until the itching is under control.